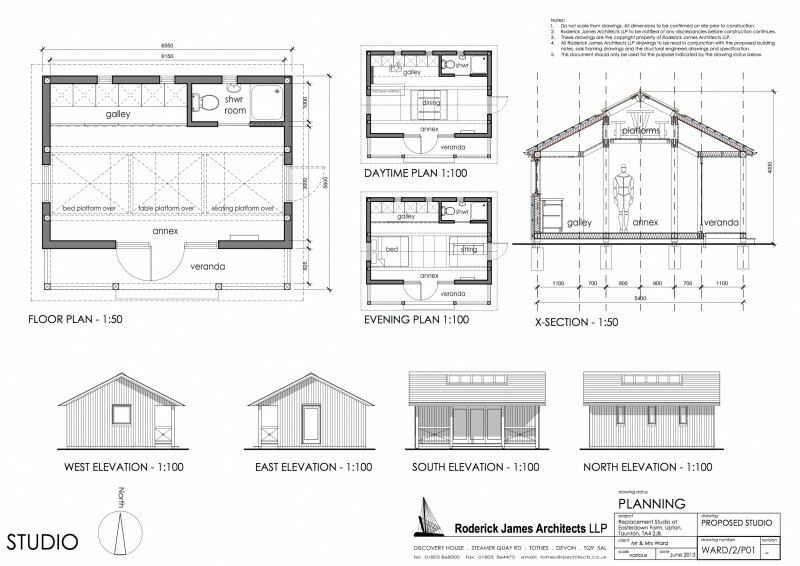 Originally we approached Roderick James Architects asking if there was some way to get onto site quickly, but not have to make all of our decisions at once. Could we somehow build in phases? They suggested that they could build something under permitted development rules, like a garden shed or office, then design and build the rest of the house while we live in that. The idea came about because we wanted to help our wonderful landlady who had been flooded on the Somerset Levels. We wanted her to be able to come and live in her house. We weren’t keen to live in a caravan. We weren’t keen to rush the design. We didn’t want to stand in her way. Mike Hope and Leila Westrope of RJ Architects solved this by proposing a collaboration with Carpenter Oak. West Somerset council liked this notion of extendable permitted development. They understand that self-builders need to live on-site but they dislike the difficulties they encounter when the new house owner ignores their requests to remove the caravan once the house has been built. So they gave us a hearty thumbs up. Phase one, or ‘The Cabin’ as we call it will be very small, but very, very clever. Imagine our amazement when this ingenious plan showed up, attached to an email. Look closely at the Daytime and Evening plans. There are three platforms that will winch up into the roof space and during the day our gorgeous Carpenter Oak dining furniture will descend and uncover the roof lights, but at night the Bed and Seating area will swap roles with this, covering the roof lights, preserving the ‘Dark Skies’ of Exmoor and conserving heat. The underside of the platforms will ensure the ceiling always looks like a Roderick James/Carpenter Oak signature ceiling. Carpenter Oak will build this and bring it to our site. All we have to do is provide the foundations. Round of applause for Mike and Leila!